Happy Thursday! Question of the day — How do you guys feel about herbs in dessert? Because I have a recipe for you! 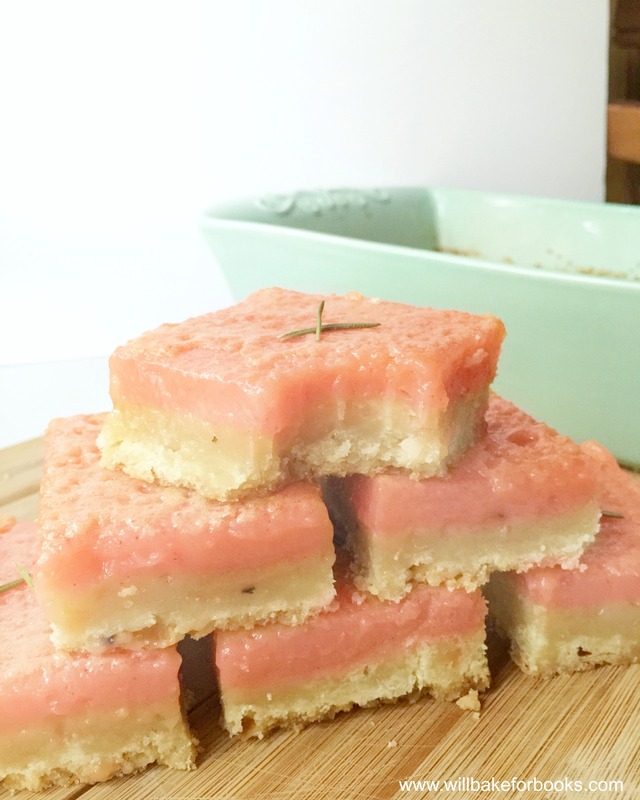 This past weekend my sister Natasha had a great idea — grapefruit rosemary bars! She asked me to make them, I said yes, and then I kinda (really) ditched to go to the movies with my dad instead. Oops. Sorry, Tash! Yesterday I found myself busy again, so this morning I resolved to make these bars a priority. Then I got to thinking, why not add rosemary in the filling AND the crust? 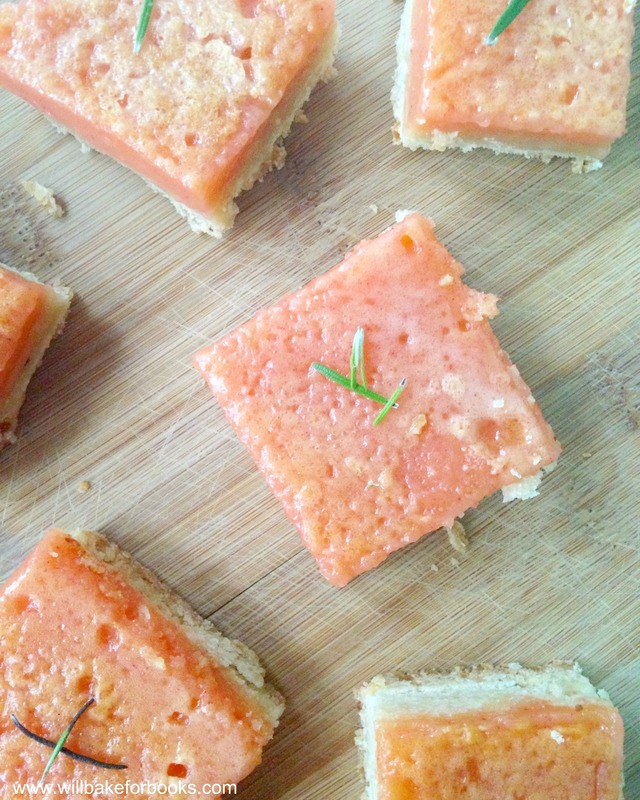 So I infused rosemary in the grapefruit juice as well as adding chopped rosemary in the shortbread crust. Oh yes. Making the crust, you have to make sure your butter is COLD. Don’t take it out of the fridge until it’s time to add. For the rosemary, I take a whole sprig and take half the needles (I actually Wikipedia’d “rosemary” to get the proper terminology *facepalm*) aside for the crust and leave the others on the sprig for infusion in the juice. Since I use organic eggs usually, the yolks tend to be more on the orange side. 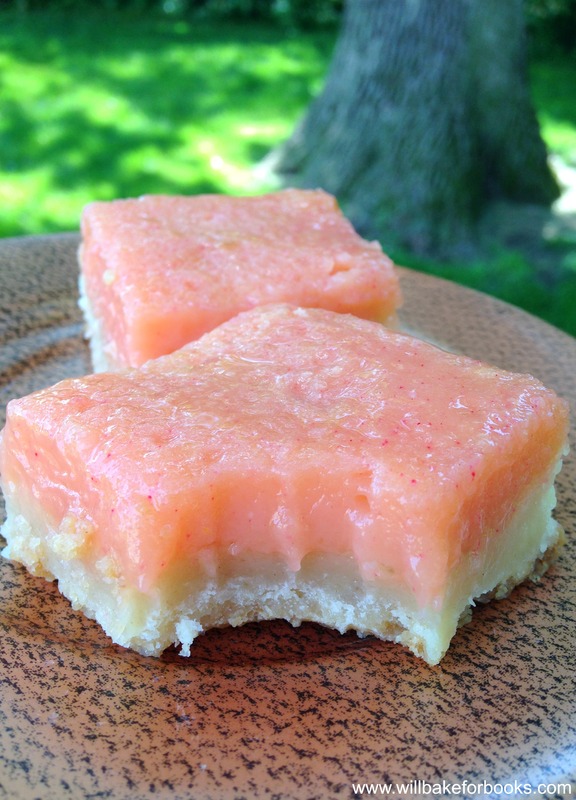 Because of this, the filling loses a lot of that pink color from the grapefruit! That’s why I add a drop of pink color. If you’re interested in the brand I use, it’s Americolor Soft Gel Paste and I buy it on KingArthurFlour.com. (←Not an ad or anything, I just love their products.) One drop is all it takes to bring the filling back to that beautiful grapefruit color! I ran out of powdered sugar, but usually I would top it with that mainly for aesthetics. Also I put a little more rosemary on top. Can you tell how much I love the stuff?! I didn’t want it to be overpowering or anything, but I did want the herb to shine through along with the sweetness and slight sour flavor in grapefruit. The rosemary shortbread crust is amazing, people!! I feel like I need to make cookies from this recipe. It’s buttery, soft, and just the right texture. On a side note- I am sorry for these HORRIBLE pictures! It’s a long story, but basically we have had terrible storms in Illinois these last couple days and I haven’t been able to get good lighting plus my DSLR camera is out of battery so I had to use my iPhone. Today, when I only had two bars left, I finally got a picture with ok lighting. Anyways, before I go further and you guys fall asleep out of sheer boredom…recipe is below! 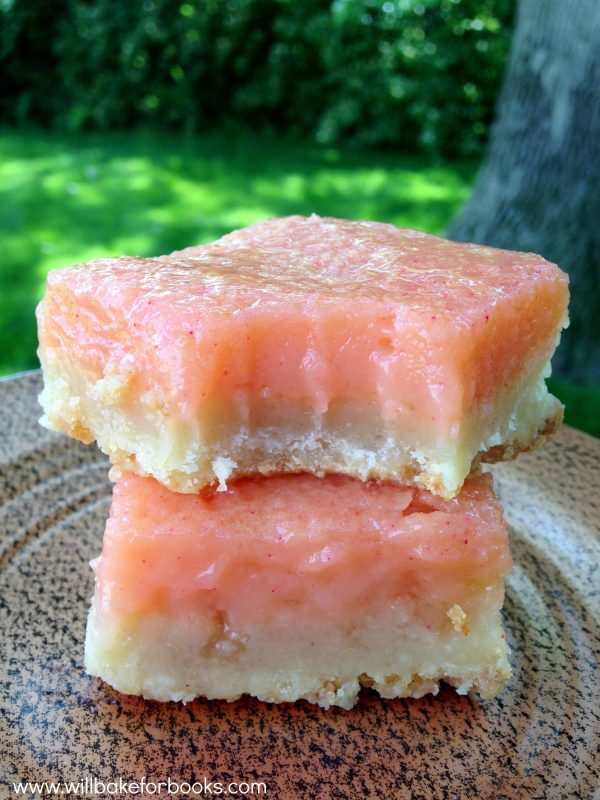 The tangy and sweetness of grapefruit combined with a buttery rosemary shortbread crust! The perfect summer bar. In a small bowl, measure ⅔ cup grapefruit juice and 2 tablespoons lemon juice with half a sprig of rosemary soaking in it. Set aside. Preheat the oven to 350 degrees F. Grease an 8 x 10 pan with butter. For the crust: Stir together the flour, sugar, and remaining rosemary (chopped finely). Add the butter to the bowl and use a pastry cutter to cut it all together until the mixture resembles fine crumbs. Press into the prepared pan and bake until golden around the edges, about 15-20 minutes. For the filling: Stir together the sugar and flour. Crack in the eggs and whisk to combine. Add the infused grapefruit juice and mix until combined. Pour over the crust and bake about 20-25 minutes, or until it is set and the middle is no longer jiggling. Allow to cool in the fridge for 2 hours at the least, then sift powdered sugar over the top before cutting into squares. Enjoy! I agree with Rissi! Those look AMAZING!!! I love pink and love grapefruit and shortbread so I think I would love these! I love to bake and I love to write (I’m a multi-published author) so this blog is right up my alley! Thanks for sharing! ooh, this sounds like such a unique flavor combo! and the color of the grapefruit curd is so pretty- it’d be perfect for an afternoon tea (or book discussion!). Hi these look fabulous!! Could I use coconut oil as a substitute for butter or would you not suggest that? Thanks! Just wanted to rate the recipe and comment that I tried it with coconut oil and it’s amazing! Thanks for this recipe and for thinking of such a perfect flavor combo!